The nation’s more than 660,000 restaurants, including thousands in Orange County alone, not only offer careers in entrepreneurship, management and operations, but are also a growing space for marketers and social media professionals. 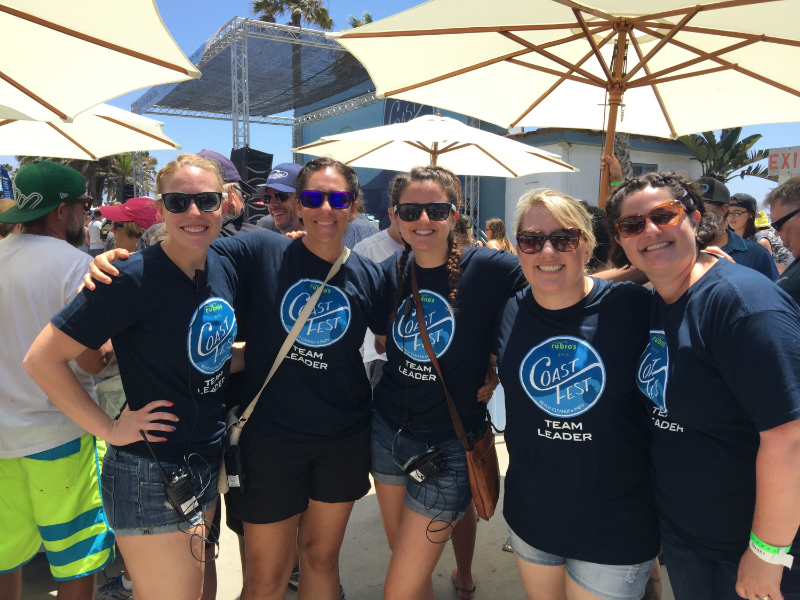 Lauren Sassano ’12, a Mihaylo College MBA-marketing grad, discusses her role as senior marketing manager for Carlsbad-based Rubio’s Coastal Grill and how to get started on a food-based marketing career. After earning her undergraduate degree in psychology from Whittier College, Sassano landed her first career job in the food services industry, working for TEAM Enterprises as strategic marketing team leader for their account representing Miller Brewing Company. In 2007, she joined the fast-casual, fresh-Mex chain Rubio’s, where she worked in the field in Orange County for several years. Drawn to marketing strategy, she sought a corporate role. “When I was there, I would tell my boss that I wanted to work on programs that impact the entire system,” she recalls. 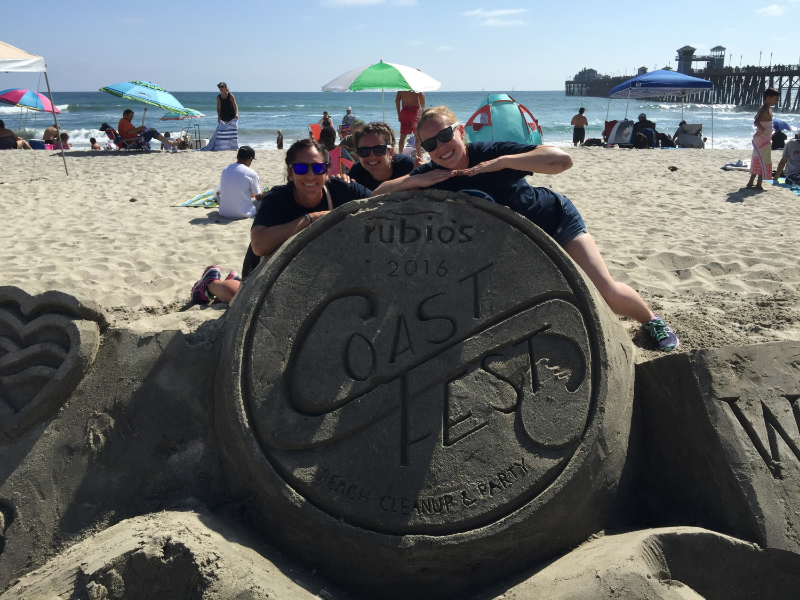 Rubio’s commemorates its support of the 2016 Coast Fest Beach Cleanup & Party. The company connects with the community through philanthropic involvement and a fundraising program. 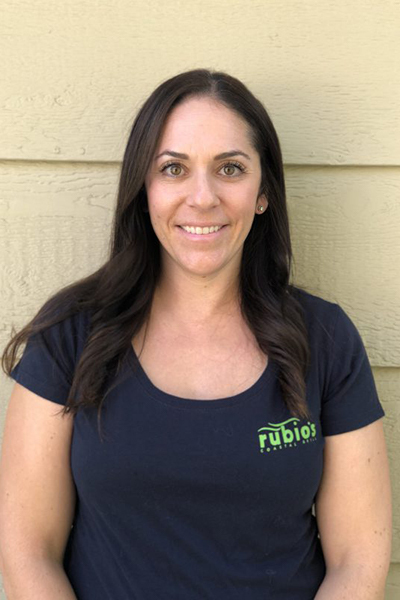 After working for the corporate offices of Taco Bell for a year as their associate analyst for multibrand and express, Sassano returned to Rubio’s, where she currently serves as the company’s senior marketing manager. In 2012, she earned her MBA in marketing from Mihaylo College. Leading Rubio’s fundraiser program, the restaurant’s community engagement initiative, is a particularly rewarding aspect of Sassano’s role. With the rise of social media and web-based food delivery, Sassano notes that a transformation is remaking the restaurant industry, offering new opportunities for marketing professionals. Looking at Rubio’s future, Sassano anticipates a continued recalibration as consumer tastes and options change. “I see us evolving as consumer demands and needs change. People used to buy physical gift cards at the grocery store or from a specific retailer. Now people can order a gift card online and email it directly to the recipient,” she says. “People like to know about the ingredients they are eating, and where they are sourced. I expect the demands and needs of our guests to continue to evolve over time. Want to make restaurant marketing part of your future? Sassano says a combination of applied restaurant roles and marketing experiences create a well-rounded background. For Sassano, earning her MBA in marketing at Mihaylo College provided an essential background in business that has served as a versatile foundation for her career. She notes that the program encompassed a wide range of coursework, including in accounting, finance, management and operations, providing a synthesis with her early career. For more on careers in the hospitality industry, including restaurants, visit the Center for Entertainment and Hospitality Management (EHM) at their website or at SGMH 5284. In addition to offering an academic concentration in the field, the center also supports networking and professional development opportunities for students seeking careers in the field. For more on Mihaylo Graduate Programs, including academic paths designed specifically for working professionals, visit the programs online or at SGMH 4210. Community engagement, such as the Rubio’s Coast Fest Beach Cleanup & Party, help the chain build relationships.